Anima Animus Animal is a cinematic -gothic- ambient music project exploring within sweeping vocal passages and surging complex synthesizers, tales of metamorphosis, hybrid creatures and time travel. 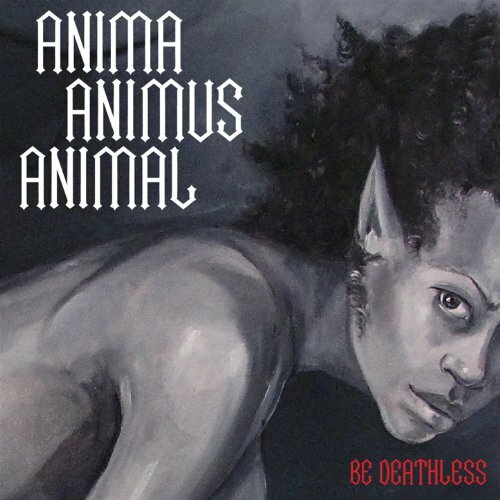 Anima Animus Animal's 2010 debut album, "Be Deathless", embodies a sacred, otherworldly realm within the experimental gothic -operatic music. Alexis Karl (Vocals) and Paul Ashton (Synthesizers) create a dark, ambient duet where poetic lyrics are written in a pastiche of languages, from ancient Uzbek, Persian and Sanskrit to French, Italian and Portuguese. Be Deathless was performed live in both the UK and USA with film projection, dancers, narrators and trapeze artists. Anima Animus Animal's recent EP, Midnight Masque, is an epic poem set to music. Karl's vampiric spoken word is interwoven with Ashton's instrumentals, which vassilate between demonic waltzes and ethereal ambient noise. "Other Side Of Silence", Anima Animus Animal's second full length LP releasing in winter of 2012, incorporates heavy industrial beats along with gothic opera. Dark poetics tell of an even darker world as driving percussion cradles melodic vocals. Anima Animus Animal is currently collaborating on albums with various ambient noise and gothic ambient bands as well as composing music for film scores. Beh Amara...Be Deathless....Be one of us. Is a trained opera singer and multi-media artist whose love of sci-fi and fantasy led her to the dark side of gothic opera. Karl's voice ranges from long, sweeping melodies to plunging growls as she weaves tales in both soprano and alto of lost worlds and lonely creatures. A musician with extensive and divergent tastes and artistic influences from Monk to Munch. Ashton's work in Anima Animus Animal is that of dramatic instrumentals. His proficient musical training allows for a sophisticated classical, experimental, gothic and ambient dialogue.